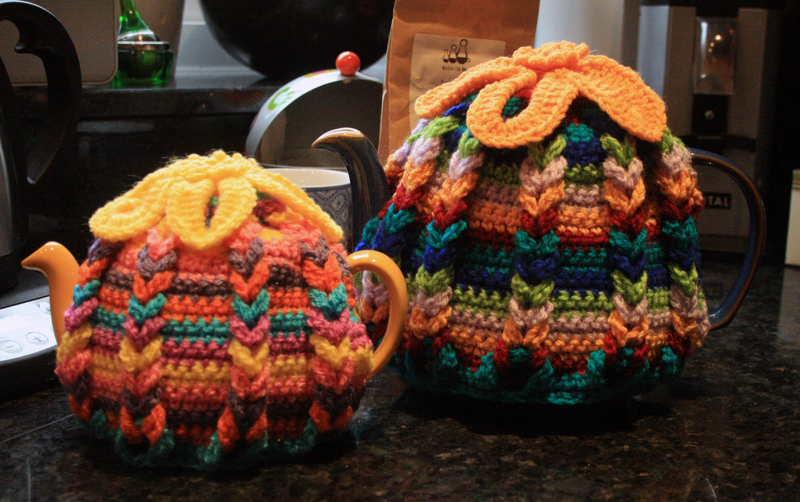 Tea cosies to brighten any afternoon tea party. 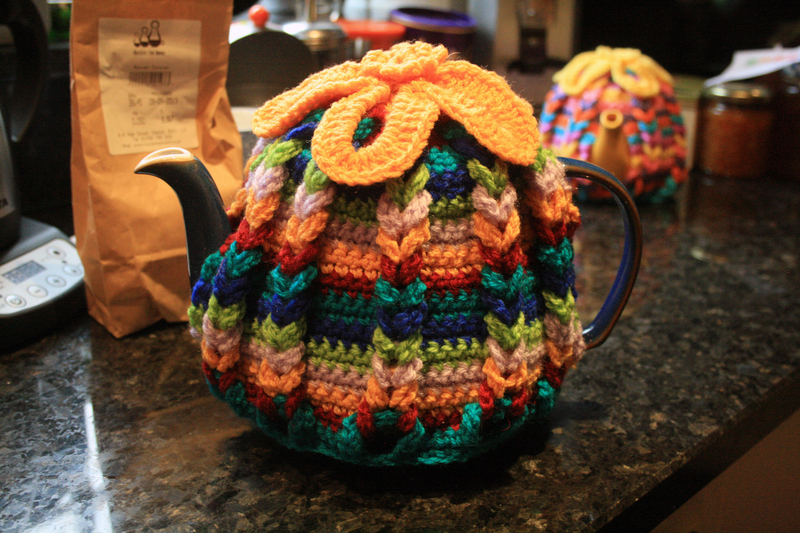 I found the Hot Hibiscus Tea Cosy pattern on Ravelry amongst a myriad of designs. It was hard to decide which one to make there were so many, there were flowery ones, plain ones, tea cosies with just about every kind of animal either crawling out of or sitting on top. This one shows the smaller of the two a little better but it is before the flower was attached to the top. 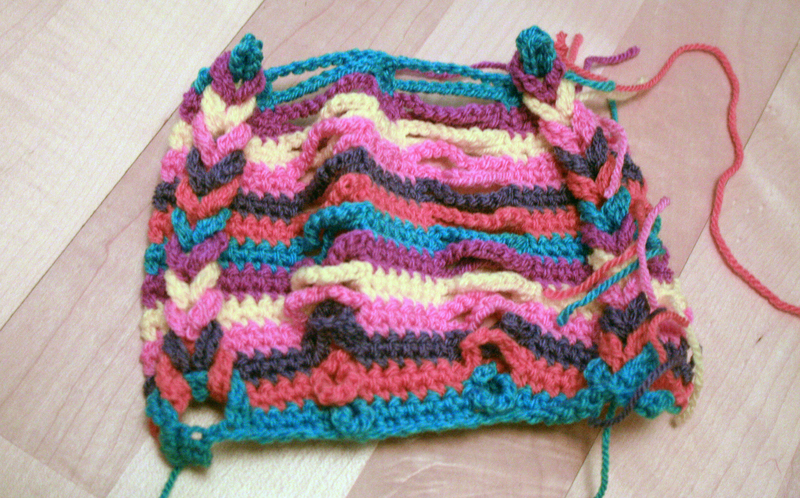 This is such a clever pattern, the braiding effect is so simple to do yet so effective. 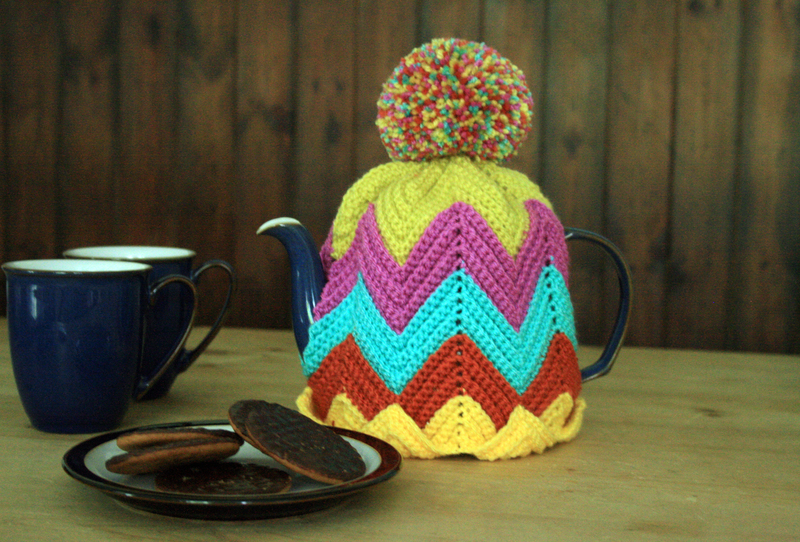 The tea cosy is made in two halves as many of them are, you work along the stripey rows adding chain stitches periodically between the single crochet. 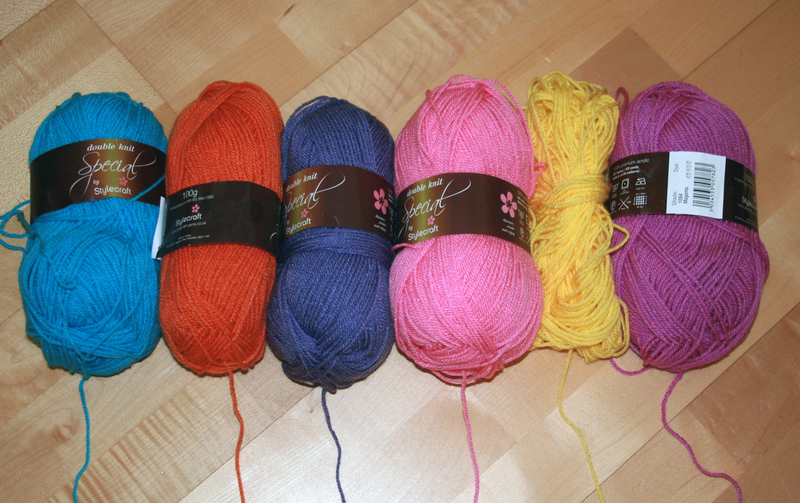 Then you thread them through each other from the bottom to the top and secure them whilst doing the decrease rows. You can see above I have looped the vertical braids on the far left and the far right hand sides leaving the two centre rows so you can see the chains. 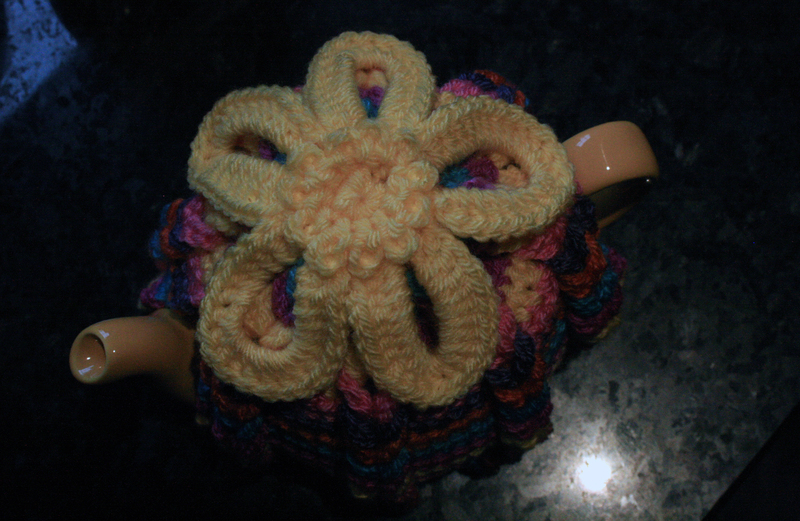 Once both sides are completed and sewn together you can make and attach the flower for the top. It really finishes it off nicely. 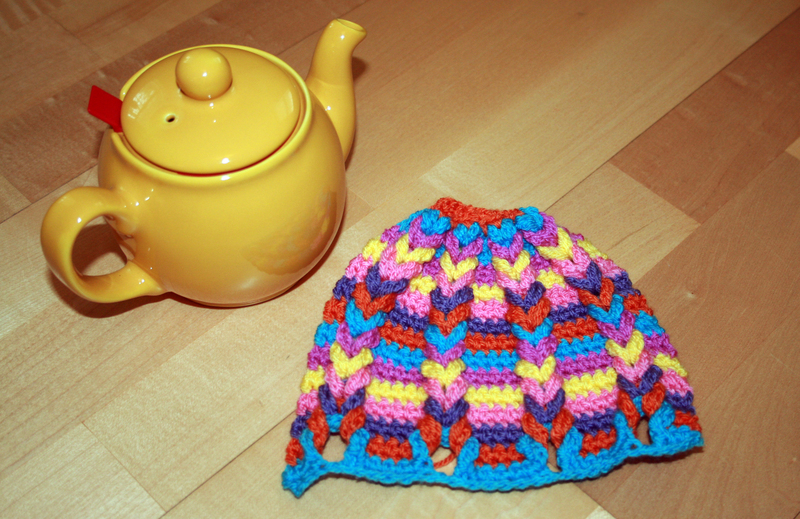 I made the larger of the two in a couple of evenings then a friend asked if I could make a cosy for her little one cup tea pot, the only stipulation was could it include yellow to match her little tea pot. 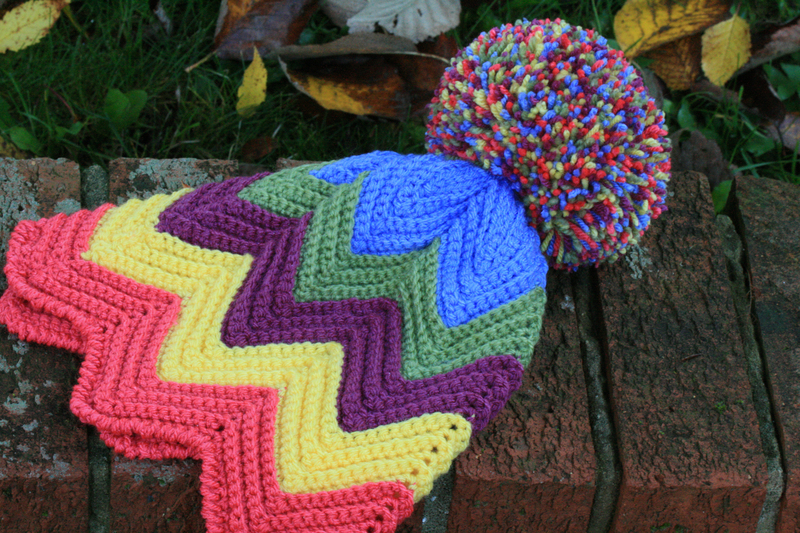 I picked out thses colours and got straight onto making a second one. The pattern kindly incldes instructions for both the large and small sizes. So here they are side by side until the little one goes to it’s new home.